The recent ICC Women’s World Cup Final at Lord’s offers the game a welcome platform to develop the game further. Managed wisely, cricket could become ‘the game’ for talented female athletes in the UK despite football’s popularity. A successful national team is paramount to growing a sport, and having high-profile individuals assists the process. This summer, Johanna Konta has inspired people through her brilliance at Wimbledon, and the England Women’s Footballers have been superb too. But, for me, the England Women’s Cricket team deserve great credit for not only winning the World Cup, but capturing the public’s imagination too. The wonderful aspect of women excelling in sport today, is the reality that it is now seems ‘really cool’ for females to be both feminine and be brilliant at sport. Playing sport enriches a person’s life – and trying to excel at a sport adds another dimension too. The fact that so many wonderful opportunities are opening up for female cricketers is testament to the vision and initiative shown by both former players, current players, administrators, sponsors, and broadcasters. Growing a sport requires a team approach. Serena Williams, with 23 grand-slam singles titles, may be a tough act to follow for emerging sportswomen - but every walk of life needs a trailblazer. In Britain we have seen how superb Victoria Pendleton and Rebecca Addlington were at London 2012, and how Jessica Ennis-Hill stole the nation’s hearts on ‘Super Saturday’. Can Heather Knight and Sarah Taylor or an emerging superstar be such a person for cricket? The World Cup Final was remarkable, aside from it being a thrilling match, and a brilliant result for Heather Knight’s England team. The fact that Lord’s was sold out, and the audience was predominantly a family one with plenty of young females present showed the game has a genuine appeal. Improved marketing of the game, and with success in big events making ‘stars’ of the likes of Heather Knight, Sarah Taylor, Anya Shrubsole and Nat Sciver, the game in England is ready for a real lift-off’, if managed wisely. And how fitting that this magnificent final was played at Lord’s where the late Baroness Rachel Heyhoe Flint (who passed away earlier this year) had made so many ground-breaking strides on behalf of the women’s game. Rachael, a pioneer, was such a giant of the sport that she became regarded as ‘the WG Grace of Women’s Cricket’, and became the first female MCC committee member. Her creativity in coming up with the idea of a Women’s World Cup in 1973, two years ahead of the men’s event was brilliant. She also ensured Lord’s staged the first-ever women’s ODI (England v Australia in 1976) too. Her legacy has been the growth of the game into a full-time profession for the very best players around the world. If the administrators and players embrace the wonderful history created by the brilliant recent World Cup tournament, they can take a golden opportunity to set up the present, and the future, to be really healthy. All around the world, the game needs young females to understand the value of the opportunities of engaging with the sport, and grow it. Participation and excellence must run parallel to each other. I wonder how significant it will be that India’s women performed so well. Hopefully, it will ignite greater inspiration in players back home, and could lead to a transformation in the exposure of women’s cricket in the media. Women’s cricket offers broadcasters a new audience as well as satisfying their existing audience too. Much credit must go to Clare Connor for her leadership of ECB Women’s Cricket in recent times. The legendary Charlotte Edwards deserves further recognition too. Edwards, along with Claire Taylor set new standards of excellence in previous England teams - the quality of their individual play was outstanding. It is the raising of playing standards which ultimately drives a game forwards over time. As I see it, the big challenge will be the development of bowling skills. Can the quality of bowling improve over time in the women’s game to maintain the close competitiveness between bat and ball which is the essence of the sport? T20 has been the diet most recently. The leagues look tight, but the interesting stat for me has been the under-performance of Essex (bottom of South group) despite their excellence this season as County Championship leaders. And Middlesex’s season fascinates me too. Retaining the County Championship is far from easy, which highlights the quality of Yorkshire’s squad in recent years. Overcoming the loss of players to various England teams, Yorkshire have maintained their challenge to the last day of every season, winning 2 out of the last 3 titles. Despite Middlesex’s big squad, they have been in danger of being sucked into a relegation battle until their win against Warwickshire in their last fixture. A return victory at Lord’s this week may see them propelled towards the top of the table too. The 1st Division with only 8 teams looks like it is going to be a white-knuckle ride for some teams and coaches this year. Will Middlesex face the ignominy of relegation come September? With their talent and experience of success, evidence suggests it would be scandalous if they did. Middlesex’s white-ball cricket has been poor for several seasons now, and they are in danger of coming last in both the t20 South group as well as the Royal London 50 over competition this season. Despite the recruitment of superstar overseas players such as Adam Gilchrist and Brendan McCullum, a winning formula has yet to be found. 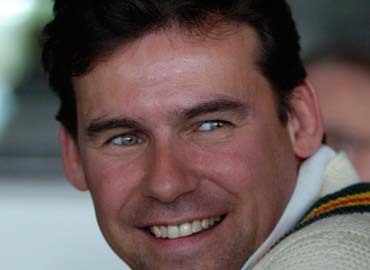 Mike Brearley's and Mike Gatting's Middlesex teams had balance with the ball due to the excellence of Phil Edmunds and John Emburey, and they were blessed to have the 'nous' of Clive Radley and the skill of Gatting himself as a top order batsman. Both dominated matches in every format. Today, Middlesex seem to have front-line batsmen who do not excel across formats. I find it hard to accept that a player cannot develop the mindset and skills to be an all-round performer. Surely that is a requirement of being a professional batsman? In 2008, Middlesex won the t20 but the follow-up decade has delivered big crowds at Lord’s, but few wins. The North London club have flattered to deceive in the short formats of the game for a long time now, despite significant improvement in their 4-day cricket since Angus Fraser became Director of Cricket in 2009. The appointment of Daniel Vettorri as t20 coach may prove to be a masterstroke in time but at present, it seems that their approach has brought inconsistent play. They may still come with a late charge and make the quarter-finals, and if they do, it would be hard to bet against a team with momentum going into the knockout stages, especially with the likes of Brendan McCullum, Dawid Malan, Eoin Morgan, Paul Stirling and John Simpson in their batting line up, and Toby Roland-Jones, Steven Finn and the highly-promising Tom Helm in their bowling line up. The coaching strategy for t20 is one of great fascination to me. I find it interesting that several ‘smaller clubs’ than Middlesex (with far less playing and financial resources) seem to have done well in t20 since English cricket introduced the newest format in 2003. The success of Leicestershire in the very early days, and more recently Northamptonshire, and the consistent performances year-on-year from the likes of Hampshire and Somerset highlights that some clubs have clearly got a better grip on the requirements than others. Fundamentally, a successful team needs a quality bowling attack to ensure the opposition’s dangermen cannot destroy you. Top bowlers contain or dismiss the better batsmen, and can blow away the middle order in the significant mid-innings period. Obviously, ‘death-bowling’ is important, but it is far easier to bowl at lower order players than it is top quality t20 batsmen (like Alex Hales, Darren Stevens, Sam Billings, Ryan ten Doeschate, Liam Livingstone, Eoin Morgan etc) when well-set. Nottinghamshire look strong this year with both Alex Hales and Rikki Wessels looking dangerous customers with the bat in the all-important powerplay overs. It’s early days to decide who will reach Finals Day, but Nottinghamshire may prove the team to beat in 2017, especially after their confidence-boosting success at Lord’s in the RL50-over competition.